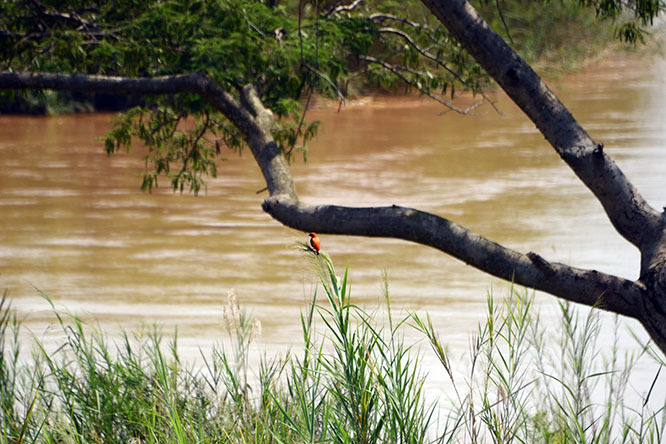 Not far at all from the capital is Burundi’s most accessbile national park. 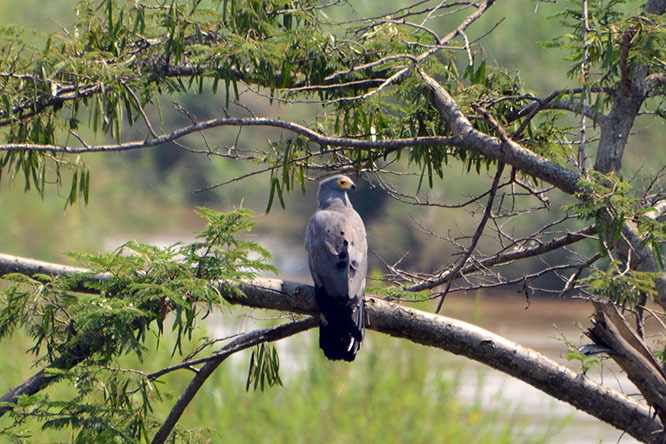 Rusizi is a great place to visit because of its ease of access, beautiful landscape and wildlife. 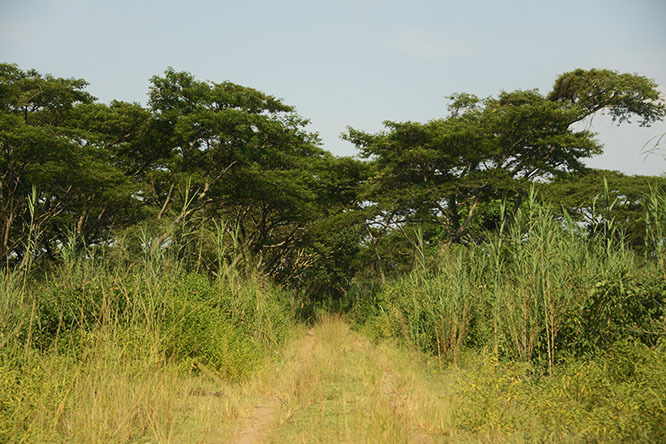 The majority of the park is forest, but there are also areas covered in shrubs and grassland which allows some diverse wildlife to live here. Once I entered the park I hired a local ranger on site who drove me to various points of interest. These two photos were my first sights of Rusizi. I should get the excitement over for those who might have heard of the famous crocodile named Gustave. The notorious crocodile is accused of eating over 300 human beings during the past few decades. The horror stories that Gustave inspired leave behind tales of him being up to 40 feet long and eating over a dozen people in a single attack. While those stories are clearly exaggerated, his existence is not. Even national geographic had once done a documentary on Gustave. His attacks on humans were such a problem that the Burundi government worked with a French man who had hoped to capture the beast alive. Despite various attempts including using goats as bait, Gustave was always able to escape and was never captured. 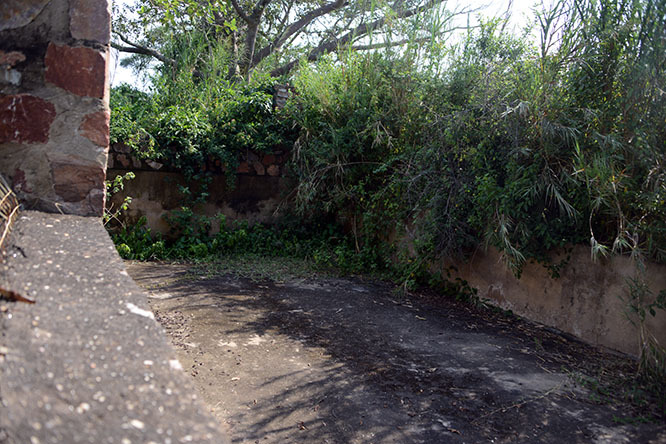 Had he been caught, this photo above shows what would have been his cage, now overrun with vegetation. Gustave’s legend may be over, as he hasn’t been seen since 2008! I always told the locals that I thought he probably died, but they seem more cautious that he might return again. While you won’t find Gustave anymore, you definitely can spot lots of birds. 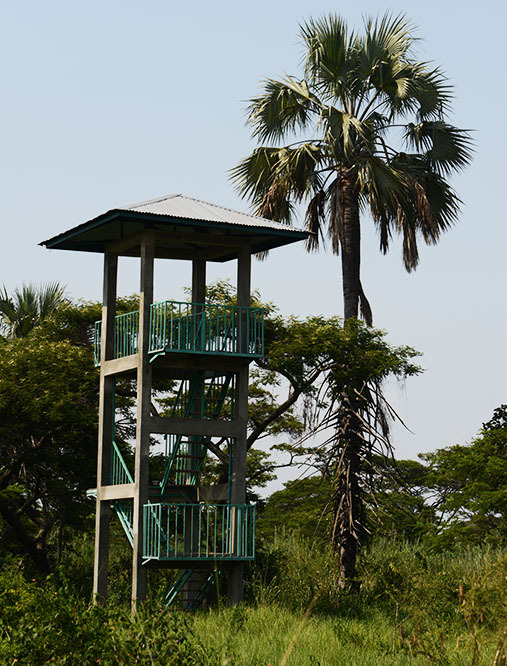 Burundi has done a good job by establishing bird watching towers throughout their park. From the tower posted here I was able to see a lot. 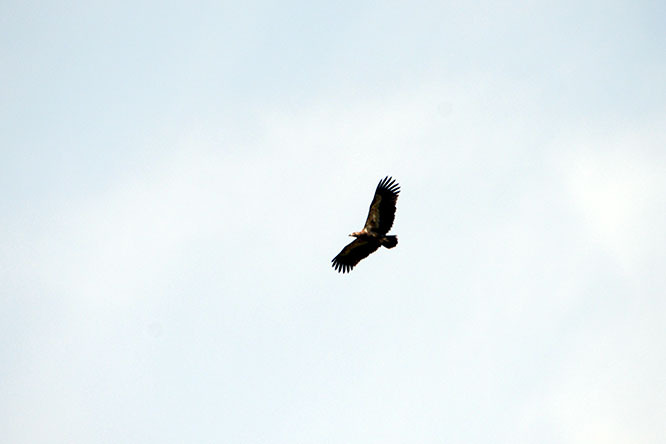 I wasn’t ever able to identify the bird flying below, but seems to be some type of vulture. Above for sure is a large eagle, and below is a bishop bird. Bishop birds seemed to be pretty common in Burundi, but I don’t recall ever seeing any of them in neighboring Rwanda, or the Congo. 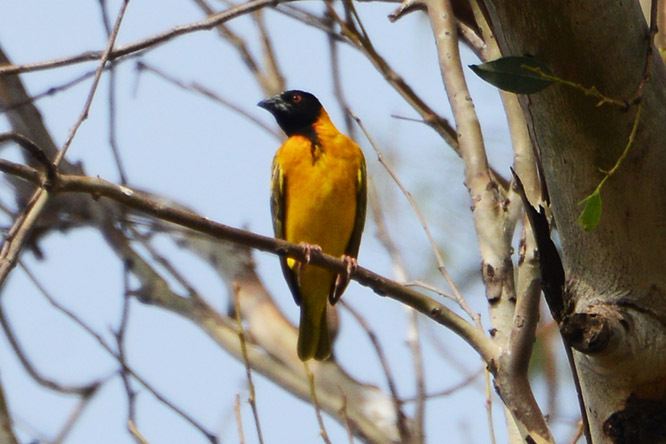 More popular than the bishop birds are these black-headed weavers. 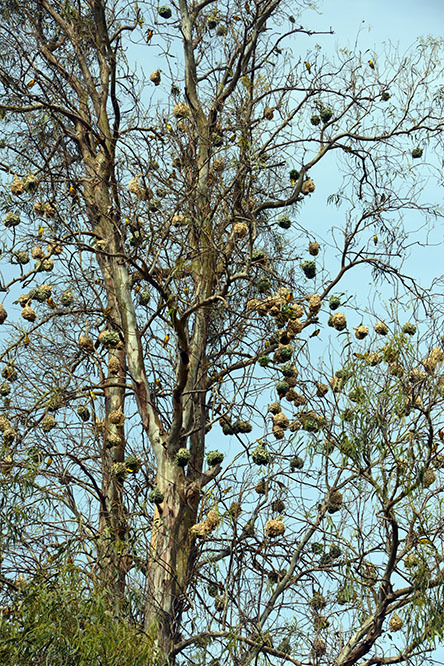 They build their nests high up in trees and even lower shrubs close to the ground. I’m pretty sure that when I had gone to Somalia, I saw the same or a very similar species of these weavers. 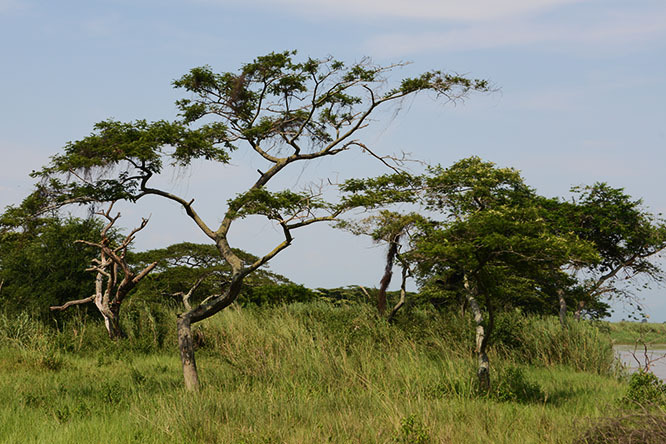 Rusizi national park isn’t home to animals such as lions or giraffes even though it has the right terrain. This is one of the few places you could walk around and not worry about being killed by African wildlife in east Africa if you’re staying away from the water. Most of my time was near the river but I went inland a bit and the ranger pointed out native and invasive plants. 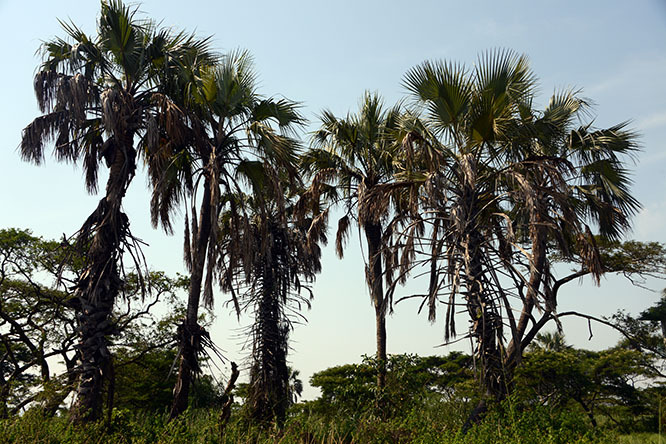 Palm trees dominated the shores of the river. 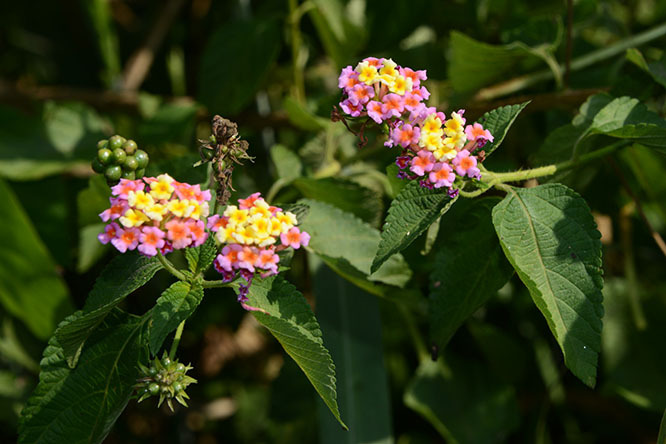 Further inland I came across these flowers. They looked decent enough to me, but the ranger seemed to have a passionate disgust for them. He described how they were inedible to people, killed other plants, and were fast growing so they were difficult to control. He went on to tell me how it would be great if people worked together to destroy them. I expected him to go into a sudden rage and attack the plant with his machete but he left it alone. There’s lots of wildlife in the forests of Rusizi, but since it’s so dense you’re very unlikely to see much unless you’re bird watching from the tower. 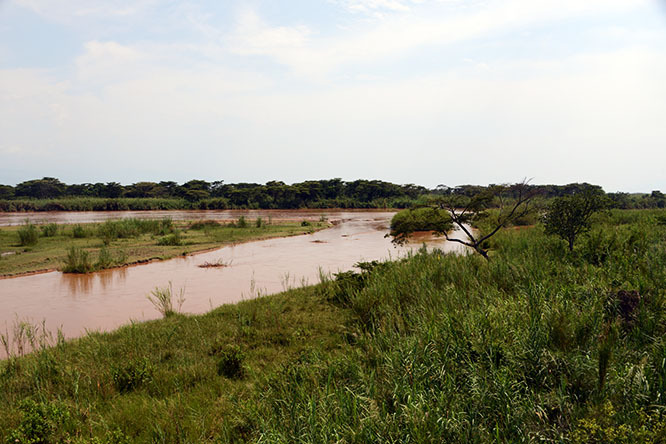 This national park gets its name after the Rusizi river, which is the best place to visit. The river is actually very important to the region. Its source is lake Kivu which is along the Rwanda and Congo border. It passes south through Burundi before feeding into lake Tanganyika, which makes a natural border along Burundi, the Congo, and Tanzania. 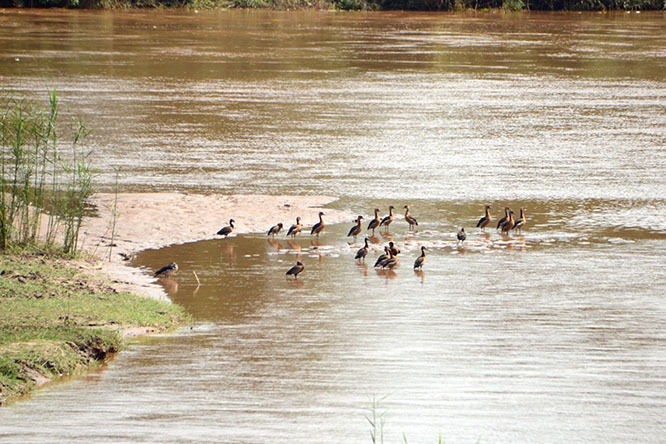 Below you can see some water fowl along the shores of the river. 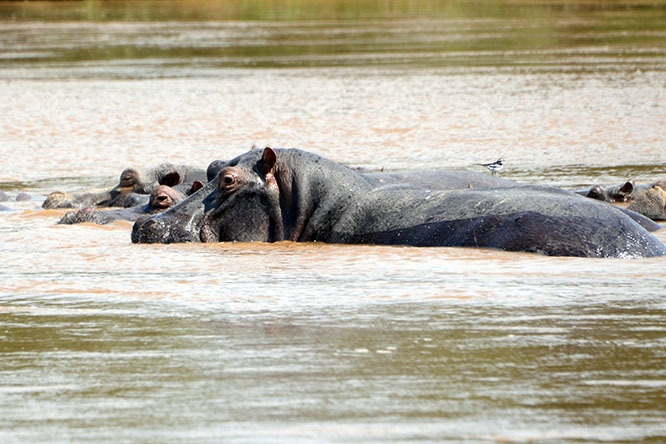 Wildlife that’s almost guaranteed to be spotted hippos. These are dangerous animals who won’t hesitate to attack a human that gets too close, so it’s the most significant risk in the park. 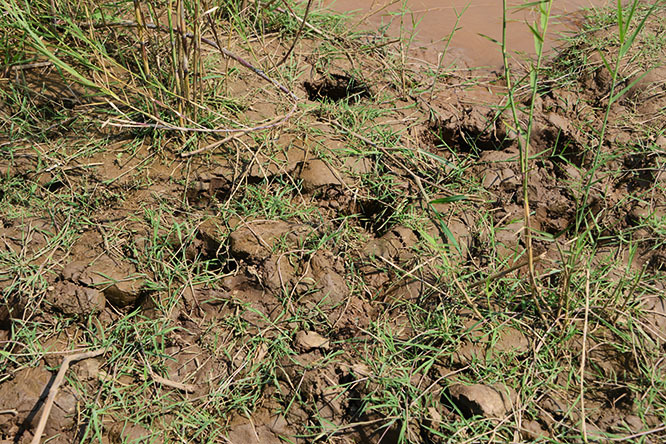 The photo above shows fresh hippo tracks. 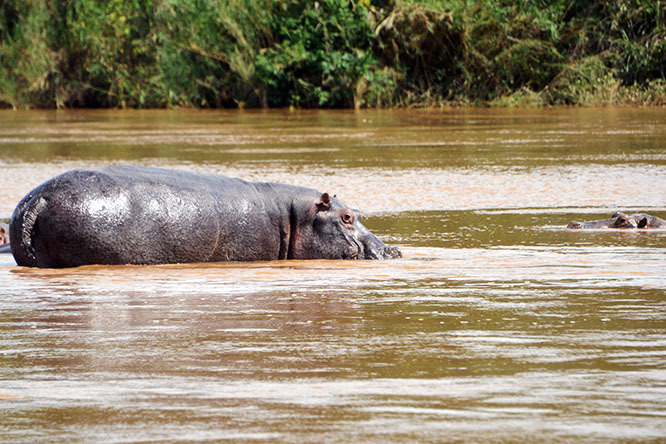 Searching for hippos isn’t a task in Rusizi. A short trip along the river and you’ll immediately spot them. 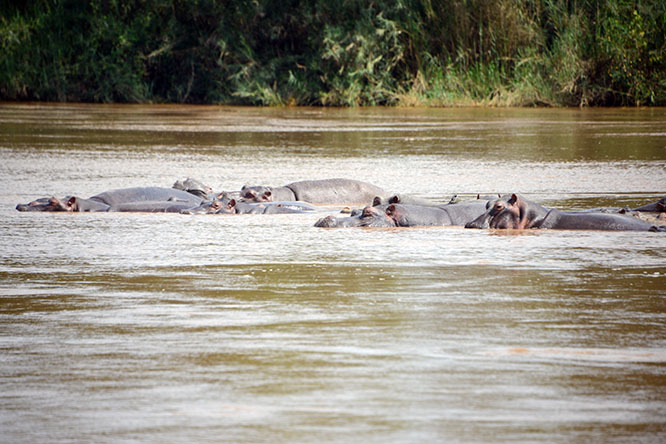 There are seriously hundreds of hippos along this river and they definitely dominate the area. Some of the packs I viewed here had around a dozen hippos in them. While crocodiles are also common, you may need to dedicate more time searching for them, or better yet even hire a boat and cruise the river!